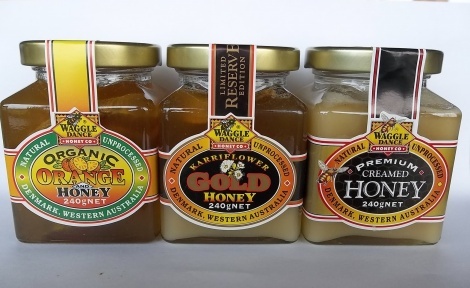 1 x 240g Karri Flower Gold: A delightful medley of pure fresh creamed honey, topped with liquid honey, with a luscious slice of orange. 1 x 240g Premium Creamed Honey: Is handmade using traditional methods, without whipping or aeration, ensuring the smoothest, creamiest texture and flavour you are ever likely to experience. Yum! Always delicious, just like the old days.